It was partnership day at Rickmansworth Waitrose. The John Lewis Partnership was celebrating 150 years. 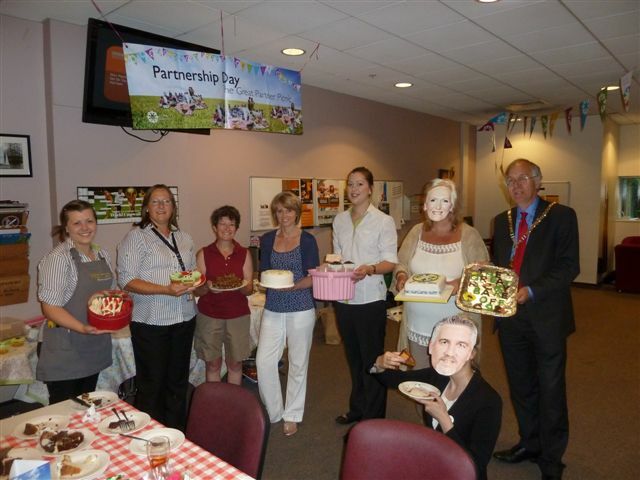 I had been asked by the manager to be part of a panel of three judges of the Staff Charity Cake competition. 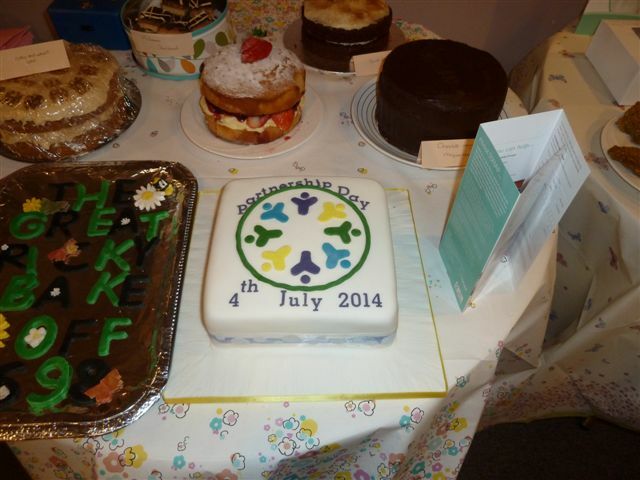 There were three categories – cup cakes, tray bakes , full cakes. Within each Category we gave two prizes, look and taste. We were not weighed before and after the judging! !